Isaac "Ike" Abbey was born June 26, 1850, in Hope Twp., Durham Co., Canada West, and died January 22, 1926, at his residence, City of Superior, Douglas Co., WI, at age 75. Buried in Greenwood Cemetery, Superior, Douglas Co., WI. He is the son of Charles Oliver Abbey of Hope Twp., Durham Co., Upper Canada, and Phoebe Elizabeth Searle of Bodmin, County Cornwall, England. Mary L. Allen was born 1857 in Fond du Lac, Fond du Lac Co., WI, and died about November 3, 1897, in Milladore Twp., Wood Co., WI, at age 38. She is the daughter of William Russell Allen of Oswego Co., NY, and Mary Tuller of New York. 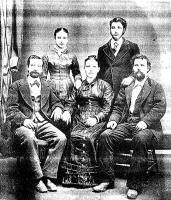 Isaac "Ike" Abbey and Mary L. Allen were married December 21, 1873, in Lamartine Twp., Fond du Lac Co., WI. Alvin Eugene Abbey: Born December 12, 1874, in Wisconsin; Died May 24, 1942, at Willmar State Hospital, Willmar Twp., Kandiyohi Co., MN (age 67). Buried in Oak Knoll Cemetery, Plot Protestant Grave 293, Willmar Twp., Kandiyohi Co., MN. Never married. Cora Mae Abbey: Born April 26, 1876, in Wisconsin; Died December 5, 1955, in Superior, Douglas Co., WI (age 79). Buried in Greenwood Cemetery, Superior, Douglas Co., WI. 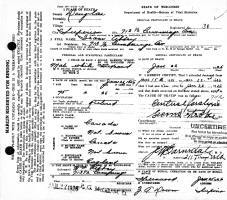 Married July 15, 1894, in Rhinelander, Oneida Co., WI, to Victor Joseph LeClair: Born August 12, 1875, in Quebec, Canada; Died after 1940 in Unknown. William Russell Abbey: Born January 9, 1880, in Oakfield Twp., Fond du Lac Co., WI; Died November 20, 1958, in Superior, Douglas Co., WI (age 78). Buried in Greenwood Cemetery, Superior, Douglas Co., WI. Never married. Florence Viola Abbey: Born about January 20, 1882, in Wausau, Marathon Co., WI; Died April 14, 1961, in Ladysmith, Rusk Co., WI (age 79). Buried in Riverside Cemetery, Ladysmith, Rusk Co., WI. Married March 19, 1902, in Milladore, Wood Co., WI, to Harrison Sylvanous Armstrong: Born September 1, 1869, in Baraboo, Sauk Co., WI; Died April 25, 1963, in Ladysmith, Rusk Co., WI (age 94). Buried in Riverside Cemetery, Ladysmith, Rusk Co., WI. Clarence Earl Abbey: Born July 25, 1889, in Kelly, Marathon Co., WI; Died April 28, 1893, in Rhinelander, Oneida Co., WI (age 3). The 1850 U. S. Census taken on August 10, 1850, shows William R. Allen (age 27) born in New York is a Grocer and is living in Ravenna, Portage Co., OH. Living with him are: Mary Allen (age 25) born in New York; Sarah M. Allen (age 2) born in Ohio; and Charles W. Allen (age 2/12) born in Ohio. The 1850 U. S. Census taken on September 28, 1850, shows Wm. Allen (age 54) born in New York is a Miller and is living in Perth Twp., Fulton Co., NY. Living with him are the following, all born in New York: Rebecca Allen (age 52); Olive Johnson (age 25); Phebe A. Butler (age 17); Bradford Butler (age 14); and Daniel Butler (age 11). Isaac Abbey was born June 26, 1850, in Hope Twp., Durham Co., Canada West. The 1851 Census/Assessment for Hope Township, Canada West, shows Charles Abbey living on Lot 27, Concession 3, Total of 4 in Family. The Charles Abbey family lives in a Shanty, which includes both Allice Sarl (age 17) unmarried, and George Sarl (age 1). Leigh Larson note: Allice is likely the sister of Elizabeth (Searle) Abbey. Mary L. Allen was born 1857 in Fond du Lac, Fond du Lac Co., WI. The 1860 U. S. Census taken on July 5, 1860, shows Charles Abby (age 35) born in Canada with personal estate of $100 is a Farm Laborer living in Oak Grove Twp., Dodge Co., WI. Living with him is his wife Elizabeth Abby (age 34) born in England. Also living there are their children Lucinda Abby (age 12), Isaac Abby (age 9), William Abby (age 7), and Mary J. Abby (age 1), all born in Canada. Charles and Elizabeth Abbey cannot read and write. Elizabeth Abby's father was living in the adjacent house: William Surl (age 60) is a farmer born in England with real estate valued at $800 and personal estate valued at $400. Living with William is his wife Abigal Surl (age 69) born in Connecticut. Also living there are their children: Thomas Surl (age 25) born in New York and indicated as insane; and William Surl, Jr. (age 11) born in Canada. William, Abigail and Thomas Searle cannot read and write. The 1860 U. S. Census taken on June 26, 1860, shows Wm R. Allen (age 36) born in New York with real estate of $2,000 and personal estate of $1,000 is a Grocer and is living in the 5th Ward, City of Fond du Lac, Fond du Lac Co., WI. Living with him are: Mary Allen (age 33) born in New York; Matilda Allen (age 12) born in Ohio; Charles Allen (age 10) born in Ohio; James Allen (age 6) born in Indiana; a female, M. L. Allen (age 3) born in Wisconsin; and Janet Allen (age 2/12) born in Wisconsin. The 1860 U. S. Census taken on June 27, 1860, shows Wm. Allen (age 66) born in New York with personal estate of $50 is a Miller and is living in the 5th Ward, City of Fond du Lac, Fond du Lac Co., WI. Living with him is Rebecca Allen (age 64) born in New York. The 1870 U. S. Census taken on June 17, 1870, shows William Allen (age 78) born in New York has no occupation and is living in the 5th Ward, City of Fond du Lac, Fond du Lac Co., WI. Living with him are: Rebecca Allen (age 75) born in New York, who is Keeping House; William Allen (age 47) born in New York with real estate of $800, a Trader; Mary Allen (age 45) born in New York, who is Keeping House; Sarah Allen (age 22) born in Ohio; Chas. 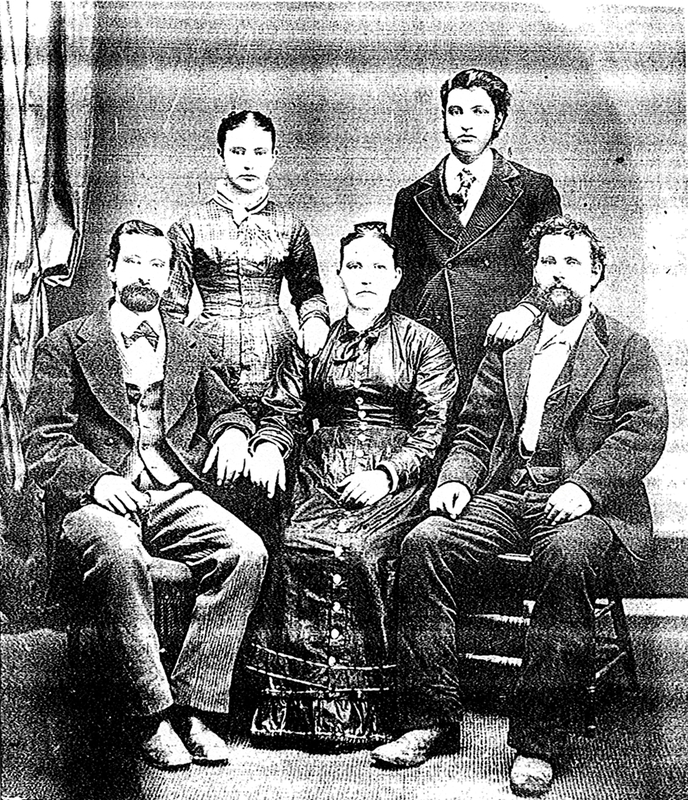 Allen (age 20) born in Ohio; James Allen (age 17) born in Indiana; a female, Mary Allen (age 13) born in Wisconsin; Jenett Allen (age 10) born in Wisconsin; Clarance Allen (age 7) born in Wisconsin; Eleanore Allen (age 5) born in Wisconsin; and a female, Aldor Allen (age 5) born in Wisconsin. The 1875 Wisconsin State Census taken on June 1, 1875, shows C. H. Allen is the Head of Household, and is living in Fond du Lac, Fond du Lac Co., WI. There are a total of 2 Males and 1 Female living there. The 1880 U. S. Census taken on June 19, 1880, shows Isack Abbey (age 30) born in Canada is a Furnace Worker and is living in Williamstown Twp., Dodge Co., WI. Living with him are his wife Mary Abbey (age 22) born in Wisconsin to New York parents, as well as their children Alvin Abbey (age 5), Cora Abbey (age 4), and William Abbey (age 5/12). All the children were born in Wisconsin. The 1880 U. S. Census taken on June 16, 1880, shows William R. Allen (age 56) born in New York is a Farmer and is living in Black Bird Hundred, New Castle Co., DE. Living with him is his wife, Mary Allen (age 53) born in New York, who is Keeping House. 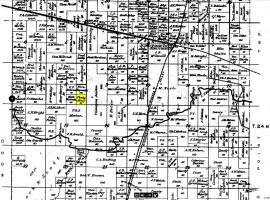 Also living there are his unmarried children, all born in Wisconsin: Clarance Allen (age 17); Elmer Allen (age 15); and Elnora Allen (age 15). The 1885 Wisconsin State Census taken on June 20, 1885, shows Iaaac Abey is the Head of Household, and is living in WEston Twp., Marathon Co., WI. There are a total of 3 Males and 3 Females in the household. All were born in the United States. Clarence Earl Abbey was born July 25, 1889, in Kelly, Marathon Co., WI. Clarence Earl Abbey died April 28, 1893, in Rhinelander, Oneida Co., WI, at age 3. DIED - Of brain trouble, April 28th, Clarence Earl Abbey, aged four years and eleven months, youngest child of Isaac and Mary Abbey. The funeral service was conducted at the home, by Rev. D. C. Savage. Clarence, the little four-year-old child of Isaac and Mary Abbey, of the north side, died of brain trouble, Friday last. The funeral services were held at the home Sunday, Rev. Mr. Savage officiating. The 1895 Wisconsin State Census taken on June 20, 1895, shows Isaac Abbey is the Head of Household and is living in Sherry Twp., Wood Co., WI. There are a total of 2 Males and 2 Females in the household. All were born in the United States. The 1895 Minnesota State Census taken on June 15, 1895, shows Alvin Abby (age 20) is living in the farmer Peter Hanson's Household, and is living in Moscow Twp., Freeborn Co., MN. Mary L. (Allen) Abbey died about November 3, 1897, in Milladore Twp., Wood Co., WI, at age 38. Mrs. Isaac Abbey, of Milladore, is dead, aged 38 years. The 1900 U. S. Census taken on July 4, 1900, shows Mike Abbey (age 54) born May 1846 in Unknown to Unknown-born parents is a widower and is living in Carson Twp., Portage Co., WI. Living with him are: his unmarried daughter, Viola Abbey (age 20) born April 1880 in Wisconsin to Unknown-born parents; and his unmarried son, William Abbey (age 18) born August 1881 in Wisconsin to Unknown-born parents, a Day Laborer. 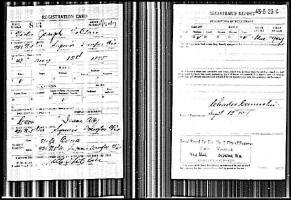 The 1900 U. S. Census taken on June 6, 1900, shows Charles Allen (age 51) born April, 1849, in Ohio to New York-born parents, is a married Teamster, and who is renting his home, and is living at 48 West Sebly, 5th Ward, City of Fond du Lac, Fond du Lac Twp., Fond du Lac Co., WI. Living with him are: his childless wife of 10 years, Nellie R. Allen (age 31) born April, 1869, in Wisconsin to Pennsylvania and English-born parents; and his unmarried father, William Allen (age 78) born March, 1822, in New York to New York-born parents, a Fur Buyer. The 1900 U. S. Census taken on June 1, 1900, shows Viola Abbey (age 18) is a visitor in the Charles Shorey home in Milladore Twp., Wood Co., WI. Viola's cousin Neta Shorey, is married to Charles. Leigh Larson note: Less than two years later, Viola married Harrison Armstrong from the same area. The June 23, 1903, Probate Document for Phoebe Abbey lists Isaac Abbey as living in Kelly, Weston Twp., Marathon Co., WI. The 1905 Wisconsin State Census taken on June 1, 1905, shows Charles H. Shorery (age 31) born in Wisconsin to Maine and Wisconsin-born parents is a Stock Manager renting his home in Weston Twp., Marathon Co., WI. Living with him is his wife, Neta M. Shorery (age 26) born in Wisconsin to French and Canadian-born parents. Also living there are his three children, all born in Wisconsin to Wisconsin-born parents: Adam G. Shorery (age 5); Charles Shorery (age 3); and Ralph C. Shorery (age 1). Also living there are two Boarders, including Isaac Abby (age 55) born in Canada to English-born parents, who is a Teamster. 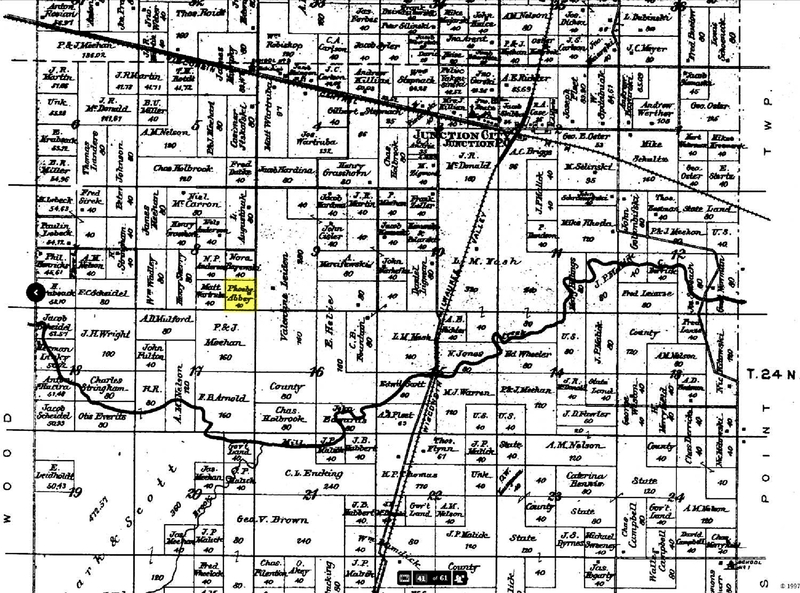 The 1905 Wisconsin State Census taken on June 1, 1905, shows Chas. Allen (age 58) born in Ohio to New York-born parents, is a married Retail Liquor Salesman, and who is renting his home, and is living in the Town of Taycheedah, Fond du Lac Co., WI. Living with him is his married daughter, Nellie Allen (age 36) born in Wisconsin to New York and German-born parents. 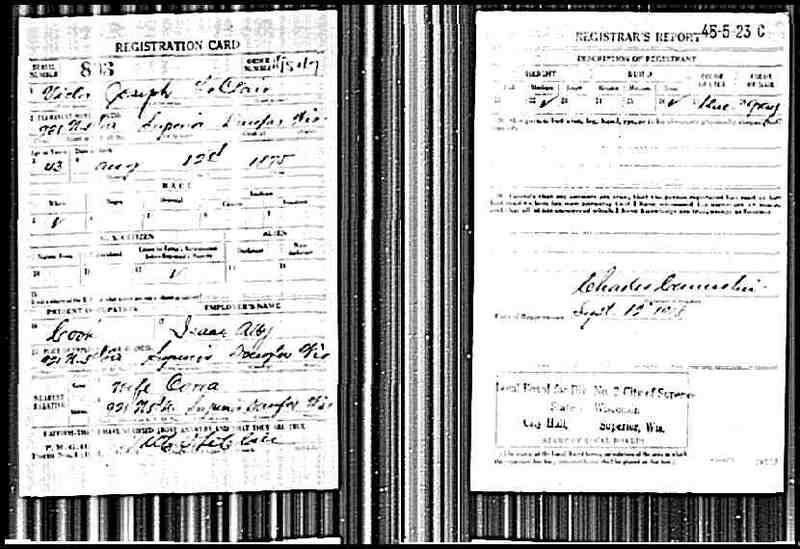 The 1910 U. S. Census taken on April 18, 1910, shows Charles Allen (age 60) born in Ohio to New York-born parents, and in his 2nd marriage, is a married Retail Liquor Salesman, and who is renting his home, and is living at 99 W. Scott Street, 15th Ward, City of Fond du Lac, Fond du Lac Twp., Fond du Lac Co., WI. Living with him are: his childless wife of 2 years, Mary Allen (age 47) born in Wisconsin to German-born parents. There is a Charles Allen: Born 1849, Died 1911, that is buried in Estabrooks Cemetery, Fond du Lac, Fond du Lac Co., WI. Mr. Isaac Abbey of Kelly, Wisconsin, a brother of Mrs. Aug. Krause, arrived in Norton Wednesday morning. Mr. and Mrs. Krause drove in after him. 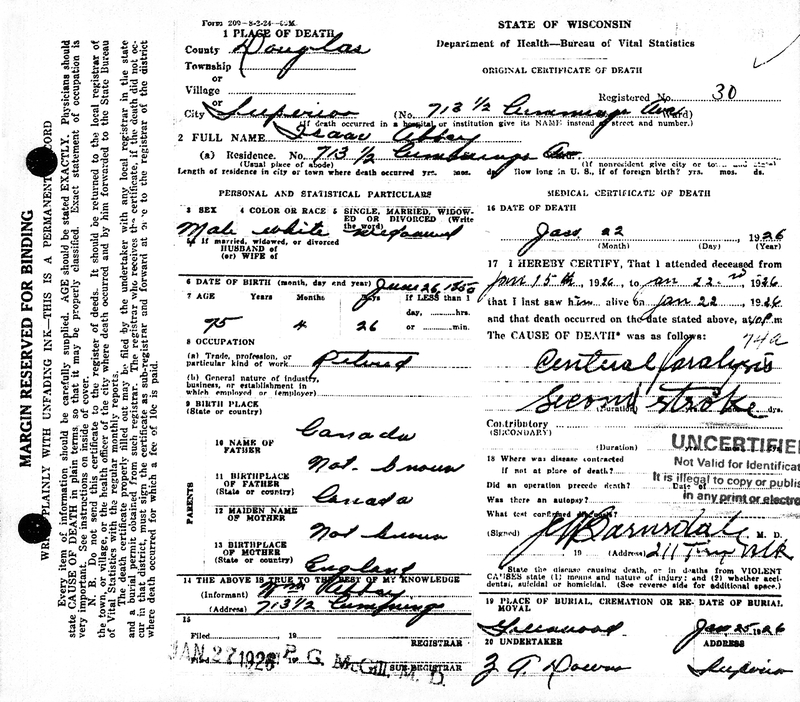 The WWI Draft Registration Report dated September 12, 1918, shows William Russell Abbey (age 38) born January 9, 1880, is unmarried and Farming for Rudolf Carl Schmidt in Topaz, Ontonagon Co., MI. He has medium height, medium build, blue eyes and light hair. His nearest relative is Isaac Abbey, 921 N. 5th, Superior, WI. The 1920 U. S. Census taken on January 5, 1920, shows William Abbey (age 39) is an unmarried Teamster at a Wholesale House and is living at 618 Hammond Ave., Superior, Douglas Co., WI. He is living with his married sister and their family: Harry S. Armstrong (age 49) a watchman at a shipyard; Florence Armstrong (age 37) born in Wisconsin; Sylvernus Armstrong (age 16) born in Minnesota; and Hazel Armstrong (age 10) born in Wisconsin. Isaac "Ike" Abbey died January 22, 1926, at his residence, City of Superior, Douglas Co., WI, at age 75. Buried in Greenwood Cemetery, Superior, Douglas Co., WI. Isaac "Ike" Abbey Death Certificate. Mrs. George W. Hollingshead of this city today received news of the death of her mother, Mrs. L. M. Shidell, who passed away at Militor, Wisconsin on February 6th. News was also received of the death of her two uncles, Ike and Charels Abbey, the former passing away during January and the latter on March 5th. The two men are brothers of Mrs. Shidell who is the mother of 11 children, the oldest whom is Mrs. Hollingshead. Charles Abbey was killed in an automobile accident.